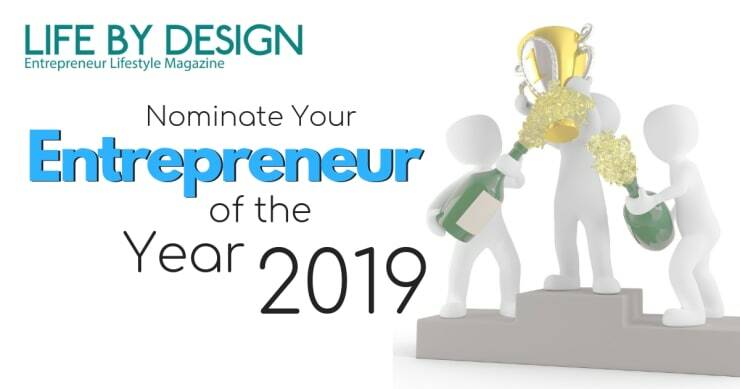 Thank you so much for your interest in voting for Life By Design's Entrepreneur of the Year for 2019! Imagine being the cover of a magazine that reaches over 20,000 entrepreneurs in the San Diego and surrounding area. Imagine getting a full spread featured article in a print magazine about you and your business. Imagine being featured on multiple local podcasts and being able to have and leverage the title of "2019 Entrepreneur of the Year"! These are just a few of the perks for the winners of Life By Design's Entrepreneur of the Year for 2019! By submitting your nominations, you are giving your friends and business partners the opportunity to be exposed to more than 20,000 San Diego entrepreneurs! Make sure to nominate (preferably San Diego area - Southern California area) entrepreneurs whom you believe deserve this prestigious title! The winners of the final voting round will be featured in the December 2019 magazine! Nominations close on Saturday August 31st 2019 at 12am Midnight. Nominate your friends as frequently as daily! Our team will release who YOU nominated in the final voting round on Friday September 6th 2019.
Who do you believe is worthy of the title "2019 Entrepreneur of the Year"? Please give the full and correct name(s) of the person(s) you're nominating. If you have their facebook (personal or business), please provide it as well!